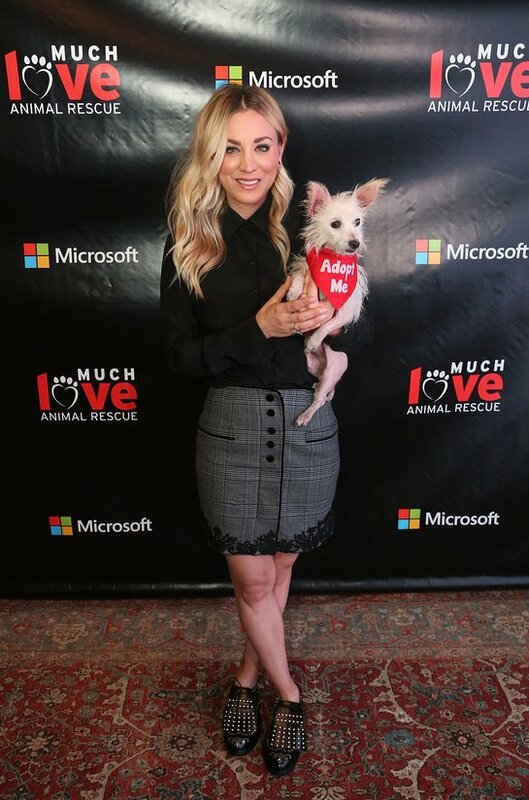 Earlier this week, Kaley Cuoco, Jerry O'Connell, Tori Spelling, Eric Winter and wife Roselyn Sánchez, and more came out to Culver City to support Much Love Animal Rescue and Microsoft Lounge second annual Spoken Woof event. The event featured animal rescue advocates including Brad Goreski, Poppy Montgomery, Tyson Ritter and emcee of the evening’s program, Annika Noelle, who all shared personal stories about their pet adoption experience to help raise awareness for foster dogs in need. Much Love Animal Rescue exists to rescue abused, neglected and homeless animals from the streets and shelters of Los Angeles and place them in loving homes. Much Love is a 100% non-profit organization run primarily by dedicated volunteers who offer their time and resources to house, train, transport and care for these animals. Since its inception in 1999, Much Love has rescued over 4,000 animals.